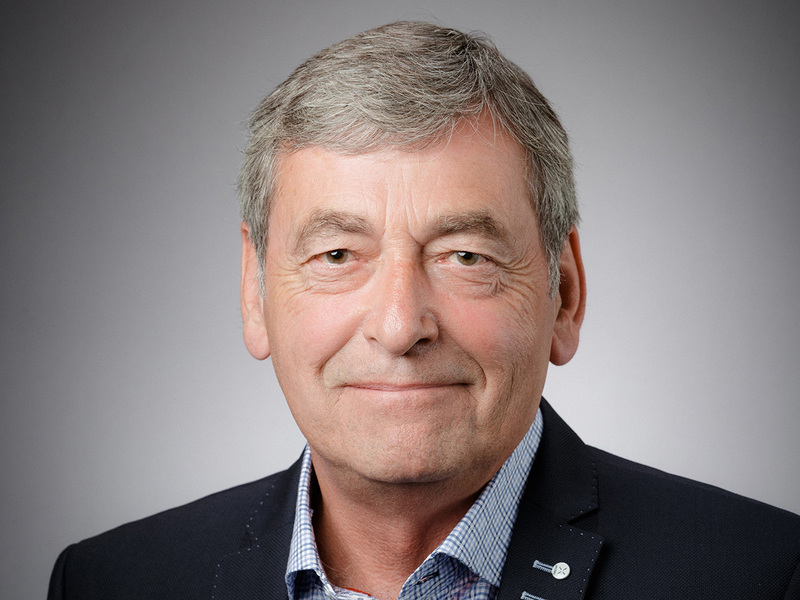 Delsworth Harnish, Vice-Dean of Undergraduate Education for the Faculty of Health Sciences, has died after a short illness. “Del was renowned for his brilliance and leadership in educational innovation,” said Dr. Paul O’Byrne, Dean and Vice-President of the Faculty of Health Sciences. A memorial service will be planned for early in the new year. As Vice-Dean since 2015, Harnish helped establish several unique programs, including: the Integrated Biomedical Engineering and Health Sciences program, known as iBioMed, with the Faculty of Engineering, and the Health Leadership Academy (HLA) with the DeGroote School of Business. Launched in 2016, the HLA is located on the fourth floor of Burlington’s Ron Joyce Centre in a space known as the “Collaboratorium” due to the open flow of people, ideas, and information. DeGroote Professor Michael Hartmann serves as Co-Director. Earlier, Harnish played a key role in developing the innovative, extremely popular, inquiry-based Bachelor of Health Sciences Honours program. He was the program’s first Assistant Dean when it began in 2000, a position he held for 15 years. The program he developed is renowned for its experiential and interdisciplinary curriculum. Harnish had earned both his bachelor and master degrees in biology from Queen’s University. After receiving his PhD in Biology from McMaster University in 1982, he did post-doctoral work at the University of Alberta and Harvard University before joining McMaster in 1984. His educational leadership was recognized with the prestigious 3M National Teaching Fellowship Award in 1998. He was also part of the team of instructors who won the 2005 McMaster President’s Award for Excellence in Teaching (Course or Resource Design), as well as the national Alan Blizzard award for collaborative course development and contributions to teaching from the Society for Teaching and Learning in Higher Education. Harnish served on McMaster University’s Senate and Board of Governors, and also as a Special Advisor (Academic Affairs) to the Office of the Provost. His other roles at McMaster included Academic Director of McMaster’s Centre for Leadership in Learning (now the Paul R. MacPherson Institute for Leadership, Innovation & Excellence in Teaching) and Academic Director of the Learning Technologies Resource Centre. He also consulted nationally and internationally on various aspects of university education. “Del was a mentor and friend to so many people,” said Stacey Ritz, Assistant Dean of the Bachelor of Health Sciences program. “He always strove to enable students, staff, and faculty to be creative, experiment, and never stop learning. 4 thoughts on "Tributes given to educational innovator Delsworth Harnish"
Liz; Please accept my heartfelt sympathies on the loss of your loved one. I met with Del only once in a group context during a visit to McMaster to share ideas about healthcare innovation via interdisciplinary training. Plenty of ideas were sparked and shared around the table with many emanating from Del. I also felt heard and understood by him in a way that fueled my confidence and creativity. I am sure there have been many similarly blessed and who have shared more time with him. With my heartfelt condolences to all, George Tolomiczenko. I was in a biology class that Del taught in 1996. I remember his methods being unique, unorthodox, and disruptive at the time. In today’s world of corporate training, focus on leadership, and agile principles, Del was well ahead of his time. RIP.